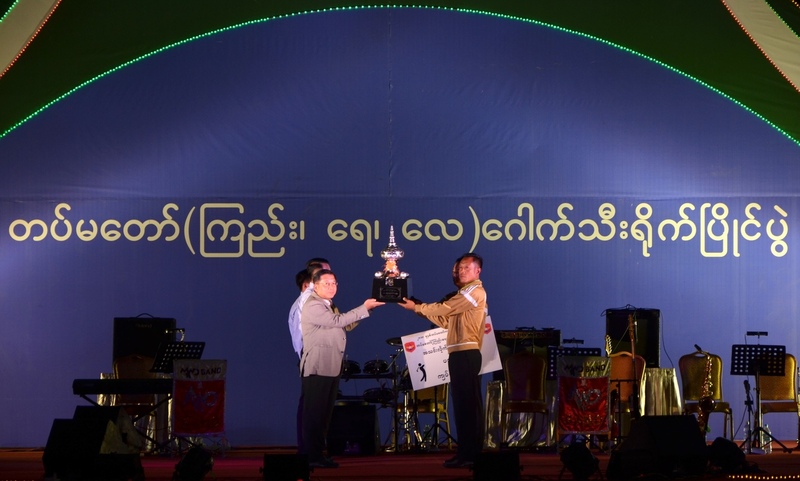 Aimed at turning out Tatmadaw member golfers who bring honour to the State and improving golf sport of Tatmadaw members, the Commander-in-Chief of Defence Services’ Trophy Tatmadaw (Army, Navy and Air) Golf Tournament is held yearly. 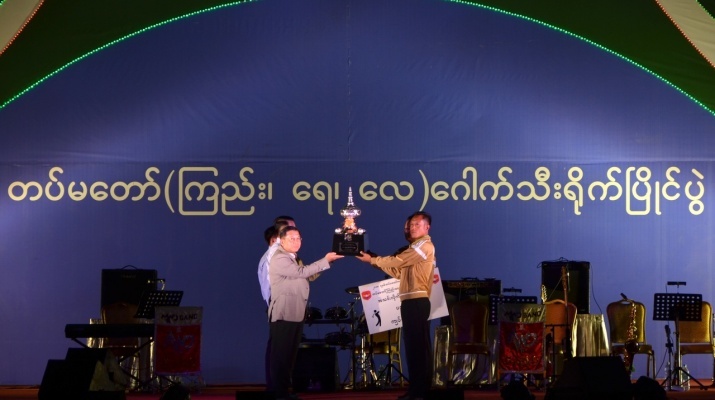 The prize presentation ceremony of this year’s tournament took place at Nay Pyi Taw Golf Course this evening, attended by Commander-in-Chief of Defence Services Senior General Min Aung Hlaing who awarded the winners. 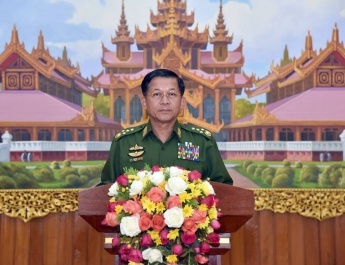 Also present at the ceremony were Deputy Commander-in-Chief of Defence Services Commander-in-Chief (Army) Vice-Senior Gen-eral Soe Win, Union Ministers Lt-Gen Kyaw Swe, Lt-Gen Sein Win and Lt-Gen Ye Aung, Chief of the General Staff (Army, Navy and Air) General Mya Tun Oo, Commander-in-Chief (Navy) Admiral Tin Aung San, Commander-in-Chief (Air) General Maung Maung Kyaw, senior military officers from the Office of the Commander-in-Chief, golfers from contending teams, members of the panel of judges and guests. 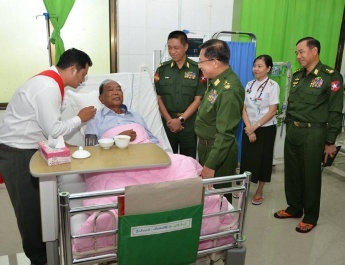 Quartermaster-General Lt-Gen Nyo Saw presented closest to the line awards on the first and second rounds and nearest to the pin award on the second round to the respective winners, Adjutant-General Lt-GenHsan Oo nearest to the pin award on the first round and daily longest drive awards to the respective winners, General Maung Maung Kyaw most par and most birdie awards to the winners in the singles (handicap) event and singles (scratch) event, Admiral Tin Aung San most eagle award and first, second and third prizes to the respective winners in the singles handicap event, General Mya Tun Oo first, second and third prizes to the winners in the singles scratch event and prizes to golfers from the third placed teams in the team-wise (handicap) and team-wise (scratch) events, and Vice-Senior General Soe Win prizes to golfers in the second placed teams in the team-wise (handicap) event and the team-wise (scratch) event. 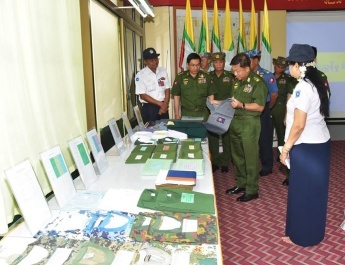 Senior General Min Aung Hlaing presented championship trophies to Central Command team which stood first in the team-wise (handicap) event with 537 net strokes in total and the team-wise (scratch) event with 633 net strokes in total. 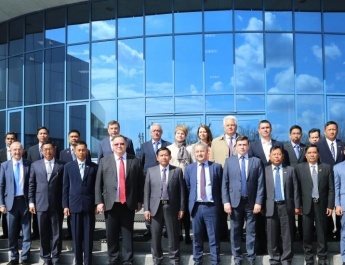 A total of 17 teams from respective military commands participated in the Commander-in-Chief of Defence Services’ Trophy Tatmadaw (Army, Navy and Air) Golf Tournament for 2018-2019 which took place at Nay Pyi Taw Golf Course and Yepyar Golf Course on 24 and 25 January.